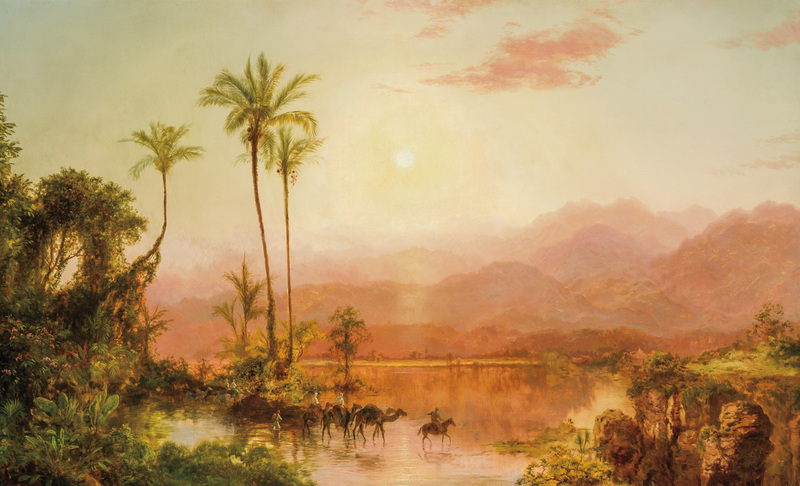 A previously unrecorded oil on canvas painting by the renowned Luminist painter Louis Remy Mignot (N.Y./S.C., 1831-1870), titled Tropical Scene, sold for $120 000 at a Spring Fine Art Auction held April 28 by Shannon's Fine Art Auctioneers in Milford, Conn. Also, a snowy Manhattan winter scene by Guy Carleton Wiggins (Am., 1883-1962), titled Fifth Avenue, breezed to $84 000; and another New York City winter scene, this one by Paul Cornoyer (Am., 1864-1923), titled Washington Square in Winter, hit $72 000. Prices include the buyer's premium. 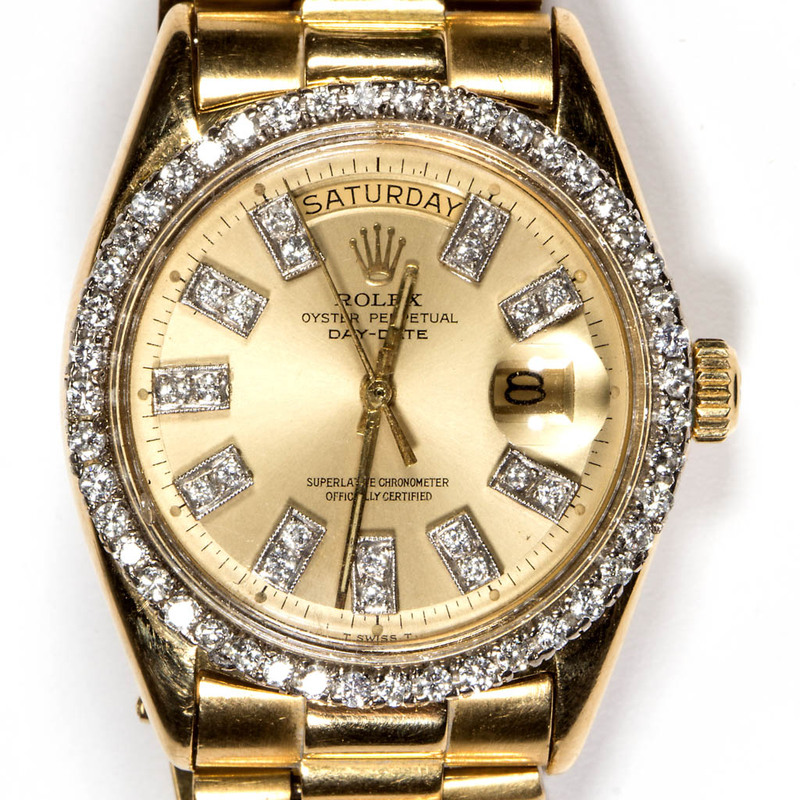 A Rolex Datejust Presidential gold and diamond men's wristwatch sold for $9 775 at a Fine & Decorative Arts Auction held April 30 by Jeffrey S. Evans & Associates in Mt. 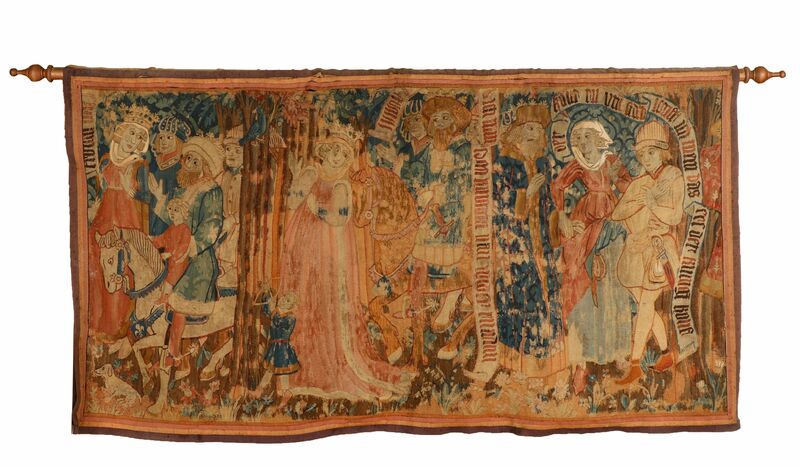 Crawford, Va. Also, a Pablo Picasso signed limited-edition print, titled La Bouteille du Rohm, changed hands for $5 642; an untitled abstract painting by Kenzo Okada coasted to $3 450; a Danish Modern egg chair by Arne Jacobsen knocked down for $2 300; and a lovely Lalique Perruches bowl went to a determined bidder for $3 220. Prices include a 15 percent buyer's premium. 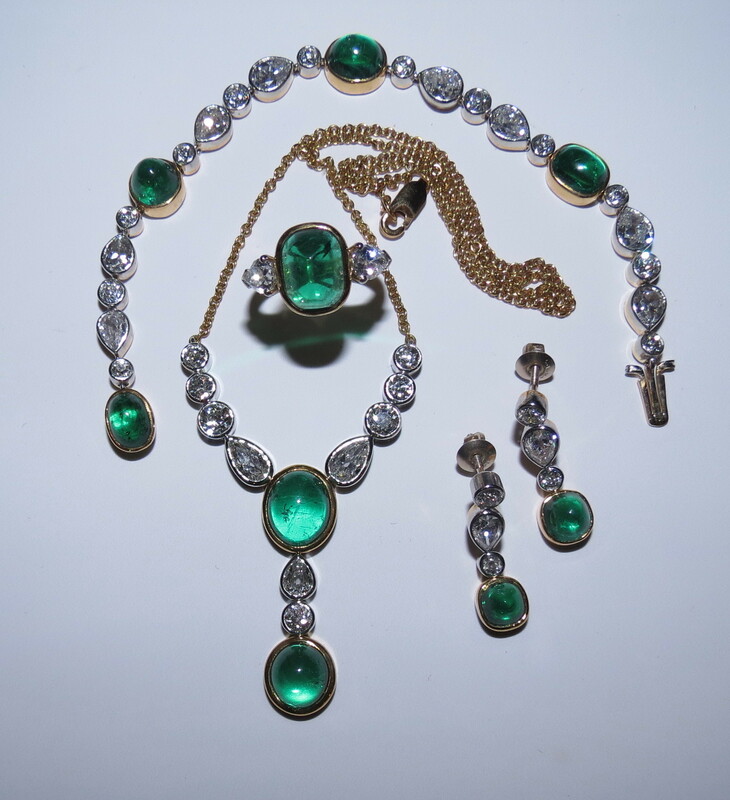 A 4-piece, 18kt gold, emerald and diamond Tiffany & Co. jewelry suite sold for $37 950 at an estates auction held April 5 by White's Auctions in Middleboro, Mass. Also, a 19th century bronze depiction of a young Napoleon on horseback, signed Edouart Drouot (Fr., 1859-1945) and Louis Marie Moris (Fr., 1818-1883), realized $4 830; a set of four Chinese porcelain landscape plaques hit $4 600; and a rare World War II Nichols fighting knife, custom-made for a soldier stationed at Pearl Harbor, brought $1 265. Prices include a 15 percent buyer's premium. 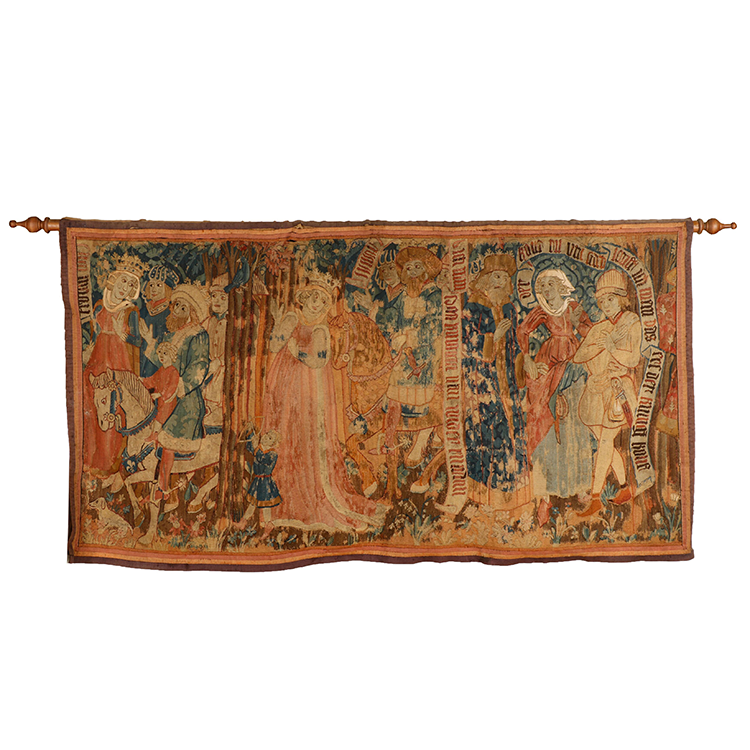 A rare, early 16th century German Gothic tapestry panel sold for $48 380 at a Spring Estates Auction held April 30-May 1 by Ahlers & Ogletree in Atlanta, Ga. Also, a large 17th or 18th century Tibetan gilt bronze seated Buddha figure coasted to $42 480; an English (or Irish) George III mahogany library bookcase, third quarter 18th century, finished at $24 780; an abstract bronze sculpture by Denis Mitchell (Br., 1912-1993), titled Selena, brought $18 880; and a circa 1889 Gorham four-arm epergne hit $11 800. Prices include an 18 percent buyer's premium. A near-mint LeMat carbine, the only foreign-made long gun and repeating arm made for the Confederacy during the US Civil War, sold for $115 000 at a Historic Firearms and Early Militaria Sale held April 26-27 by Cowan's Auctions in Cincinnati, Ohio. Also, the only surviving example of an engraved Robinson Sharps carbine rang out at $54 625; a J. H. Dance & Brothers Navy percussion Confederate revolver hit $51 750; and Napoleon's silver campaign cup engraved as a souvenir gaveled for $17 250. Prices include a 15 percent buyer's premium.